It’s been only a few short months since Samsung's 850 Pro delivered the company’s long-lasting 32-bit 3D NAND to the high-end/corporate market. Now it’s available to mainstream consumers in the form of the 850 EVO. The EVO is cheaper, and its warranty is only half that of the Pro’s, but that’s still a hefty five years—what most vendors provide only for their premium drives. The controller employed by the 850 EVO varies by capacity. The new MGX, designed with consumers in mind, is used on the 512GB and smaller models, while the older MEX is used in the 1TB version. The 128GB and 256GB versions are rated for 75TBW, and the 512GB and 1TB models, 150TBW. TBW stands for TeraBytes Written—the total amount of data that can be written to the drive before its cells wear out. In my conversations with Samsung, officials strongly hinted that TBW lab results are multiples higher. Given that the technology in both the Pro and EVO are nearly identical, it's easy to believe. Those still concerned about SSD drive endurance might also want to give this recent study a read. 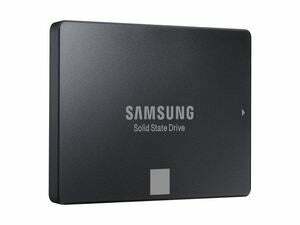 Alas, while the 850 EVO represents a new high-water mark in mainstream SSD longevity, it doesn’t deliver a price drop. The drive is debuting at roughly the same price as the 840 EVO currently sells for: $100 for the 120GB, $150 for the 256GB, $270 for the 500GB, and $500 for the 1TB. Apparently the company would like to turn a profit on NAND for a while. Can’t say as I blame them. The 850 EVO offers the same security features as the Pro version. It’s self-encrypting and offers support for both OPAL 2.0 and Microsoft's eDrive (Bitlocker Encrypted Drive) specifications. Samsung also plays up the drive's low power consumption, claiming that V-NAND uses 20 percent less juice than similar 2D NAND. Samsung’s Magician software is bundled with the 850 EVO and used to enable the drive’s RAPID mode—basically a fancy DRAM cache using the system's main memory. As always, I must warn you that caching data before it hits the disk can be hazardous. Should something go awry before data leaves the cache, it could be lost, or worst case—render your operating system unbootable. SSDs are so fast already, I always turn off Windows' own caching. Magician also lets you tweak Windows for SSD use (write caching, buffer flushing, file indexing, etc. ), TRIM the drive, change the over-provisioning (storage set aside to replace worn-out and bad cells, etc. ), and secure-erase the drive and enable the advanced encryption features. If your SSD is frozen by the BIOS in a non-erasable state, it will even create a boot USB drive or CD that you can use to erase the drive outside of Windows. The 500GB 850 EVO that Samsung sent us proved a capable, if not blazing-fast, performer without its RAPID caching software enabled. It averaged around 380MBps reading and 370MBps writing in CrystalDiskMark. CDM also rated the drive as reading small 4KB files at 244MBps and writing them at 223MBps (that’s with a queue depth of 32). ATTO rated the drive at around 390MBps. With the RAPID caching software fired up, CrystalDiskMark’s sequential read and write times were anywhere from a ridiculous 7.6GBps to a slightly less ridiculous 2.9GBps. ATTO was similar in rating the drive anywhere from 2GBps to 4GBps. One caveat: The amount of data written by CrystalDiskMark and ATTO don't come close to stressing RAPID. With larger files, you'll get better performance with RAPID, but hardly twenty times faster. If the files are long enough, say 5GB or more, RAPID's impact disappears completely. Note: Performance of the 1TB 850 EVO with its MEX controller should be similar to the 850 Pro's. 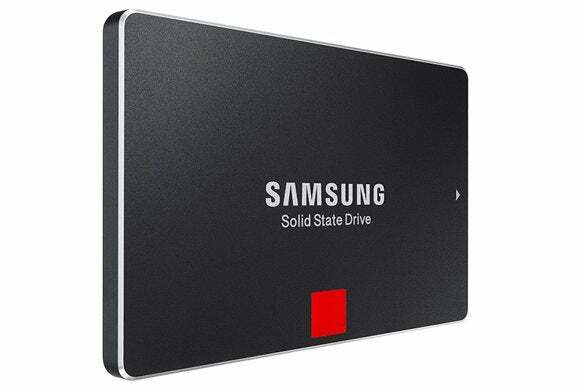 The 850 EVO is a nicely affordable SSD, highly recommended if longevity is your major concern. We were hoping to see some of that large drop in price that 3D NAND should eventually deliver, but we’ll take the 850 EVO as-is. Samsung's latest 850 EVO SSD brings the company's endurance-oriented 3D NAND to the market at cheaper price points than its 850 Pro counterpart.